Scout Comics released a preview #0 issue of The Mall for Free Comic Book Day back in May. The special preview issue offered readers a brief glance into this coming of age story set in the 1980’s, surrounding a group of teenagers whose lives are turned upside down when they learn they are the illegitimate offspring of a now deceased mob boss and have each inherited a store front in a local mall, fronts that are actually hiding illegal businesses. Issue #1 of The Mall gave us more background into the personal lives of the main characters, Diego, Lena and Dallas. The lives of each teenager are far from simple, though on the outside it looks like things are pretty together for the most part. Couple that with the fact they have just learned that everything they thought they knew about their lives and family has been a lie, the story certainly gets a bit intense. Ending with a violent cliffhanger, issue #1 did a fantastic job setting the scene for this gritty yet fun story, one that is sure to draw an audience of both young adults and now adults who grew up in the 1980’s. Issue #2 really kicked up the action a notch, all while formulating a growing bond between the three main characters. 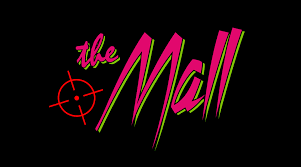 Written by Don Handfield and James Haick III, The Mall is the kind of series that sets itself apart from traditional comics. 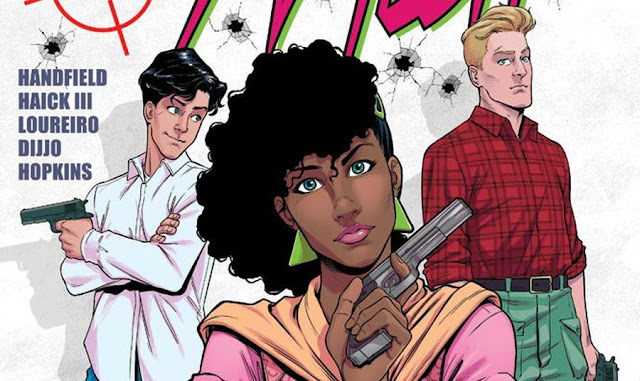 Without superheroes, a supernatural plotline or any kind of post-apocalyptic or science fiction storyline, it is simply a story about the whirlwind lives of a few teenagers in the 1980s. Though it is action packed and a definite wild ride, it’s more than that. It’s relatable and has a hidden depth among each character, delving into how much of a struggle it can be to be a teenager in any generation. Within the violence, drama and intrigue a story that boasts real life issues is weaved. The writers have done an incredible job balancing adventure with heart thus far in the story and I am confident the series will only get better. Rafael Loureiro was certainly the man for the job when it comes to the art in The Mall. The throwback vibe of the characters and their style coupled with the overall modern feel of the artistic stylization works for this series. You get a believable group of characters from a different generation, without making it seem outdated in the slightest. I still get a very Riverdale set in the 1980s vibe from this comic, which I am certain will appeal highly to a young adult and teenage audience. The color scheme provided by colorist Dijjo Lima completes the overall vibrant, '80s vibe. Issue #2 was released online and in shops on August 29th. Scout Comics does a thorough job vetting potential books to publish and it shows with all of the fantastic work they are putting out. In a world of comic books that deal with the same subject matter so often, though I am not complaining, a series like The Mall stands out. Capitalizing on the throwback trend was definitely a good call by both the creative team and publishers, and thankfully The Mall really found its mark. I look forward to seeing what the next issue holds.